Luxury is not an attribute; it is an experience. Many companies will claim to have a luxury product, but the true test of this is when you, the consumer, interacts with it. How you feel when you strap a Rolex around your wrist, when you take the cap off your Montblanc pen, when you button up your Tom Ford shirt—that is luxury. This, therefore, is the feeling that you should look for when choosing a luxury drink. Luxury is not a new concept. Think back a few years. As efficiencies in global travel were being refined and the world became a smaller place, our desire to experiment with taste and flavour grew. This age of sensory exploration made it not only easy for other countries to experience a taste of India, but for India to taste the world. And the one flavour that seemed to take hold? The taste of Scotland—Scotch whisky. Today India is the largest consumer of whisky in the world. The majority of this liquid is native Indian whisky. So important is whisky to India that it is home to the oldest continually used distillery in Asia—the Kasauli distillery. Established in the late 1820s at Kasauli, before the town was established nearby, it still produces Solan No. 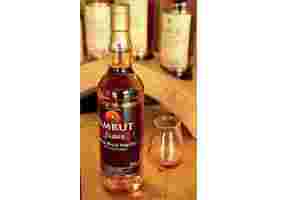 1, which was India’s best-selling single malt for more than a century, along with other brands such as Diplomat Deluxe, Colonel’s Special and the superpremium whisky Solan Imperial. Today, India is returning to producing high-end malt whisky. McDowell’s distillery, in Ponda, Goa, produces a top-end expression, McDowell’s Single Malt, which is a mainstay of the home market. 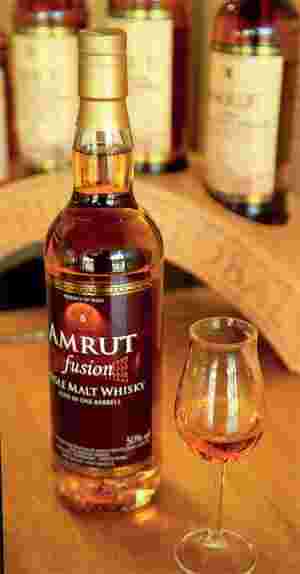 More proof that tastes are turning to the luxury-end of the spectrum comes with the news that Amrut distillery in Bangalore, having previously only exported their single malt expression, found enough confidence in the local market to launch it in India last year. With the market growing stronger every day and a voracious appetite for malt, India should count itself lucky. Not only are the local producers exploring the ever expanding top end of the market, feeding in a growing list of Indian-made liquor, but so too are the importers. Johnnie Walker is always welcome to a party, but it seems the type of bash he’s seen at these days has him wearing his Blue Label, not his Black...Of course, luxury has a time and a place. You wouldn’t roll out the Royal Salute if your friends have come over to watch the opening match of the IPL. You’d be much more likely to choose a party drink, one that is easy-going, designed to skim the surface on the sea of conversation, not explore the depths or challenge too heavily. In this instance, a large glass of McDowell’s No. 1, or even 8PM, topped up with soda or sparkling water and ice should work very well alongside your Kingfisher. The perfect way to cheer yet another reverse sweep from KP. But the engagement of your daughter or the birth of your first son; this is a time for Johnnie Walker to show his true colours. So, luxury is not an attribute; it is an experience. Thankfully, that experience can be bottled. Just choose wisely when best to pop the cork and pour yourself a large glass, as you may just find you like it a little too much to go back again.